Service by Ken Mah is always excellent. Everyone with whom I interact when I go in for service is always professional and friendly. I rate this as 4 stars because the new building that is temporary until this summer is not ideal if you're working on a laptop while you wait for a long time. You may opt to go to a nearby café. Very happy with the response to my issue with a vehicle !!! I went in to browse, comparing brands. Greeted by Colin one of the salesmanagers. Answered all questions and took the time with me even though I told him I was just shopping around.Great pride at this dealer!!!!! Beautiful Dealership with top notch Staff. Great dealership and wonderful staff! 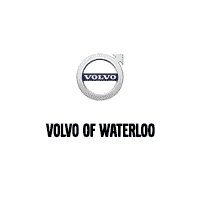 Jon was great and we look forward to doing business with Volvo Waterloo! I highly recommend them!